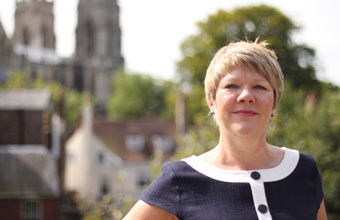 TOURISM agency, Visit York, has appointed Jane Gibson as its new chairman. Lady Gibson joins the organisation with over 25 years experience of strategic development in cultural and creative industries. She said: "It's a great honour to be joining Visit York as chairman. I am looking forward to getting to know the board, staff, members and partners with a goal of maintaining a strong, stable organisation. "Ultimately our main aim is to ensure customers have a great time when they come to York, so in my first year, I want to concentrate on the role that Visit York can play in maximising these positive experiences. I would also like to see everyone who runs a tourism business make a great living, so I'll be keen to explore ways that we can support the local economy and increase visitor spending in the city."